With publication of the second issue imminent this post continues the series of regular reports documenting the production process and creative development of the first and second issues of my artist book/comic Blotting Paper: The Recollected Graphical Impressions Of Doctor Comics, Chapter 1: The Ingurgitator and Chapter 2: A Blot On His Escutcheon. It shows photographs of details of the studio workspace, my own arrangement this time and a change from the one used in the production of the first issue. 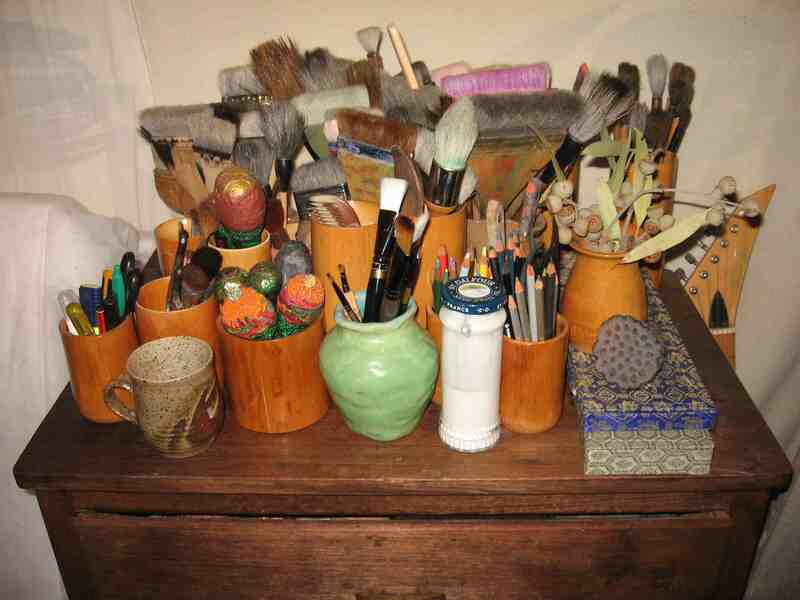 A collection of brushes for inking, painting and gluing the artwork. 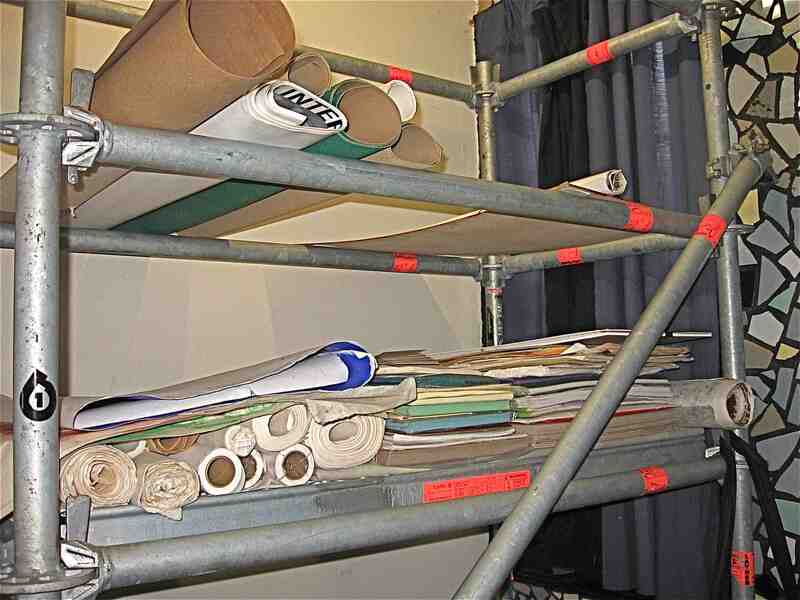 Scaffold shelves holding paper and cardboard supplies for use in the drawing, printing and binding of the book. 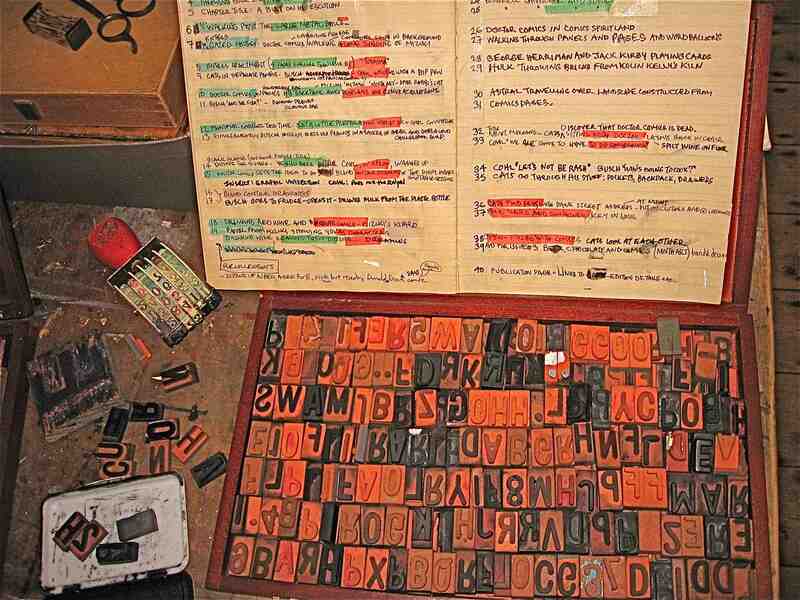 Table top work area with type and number stamps and colour coded outline of script. 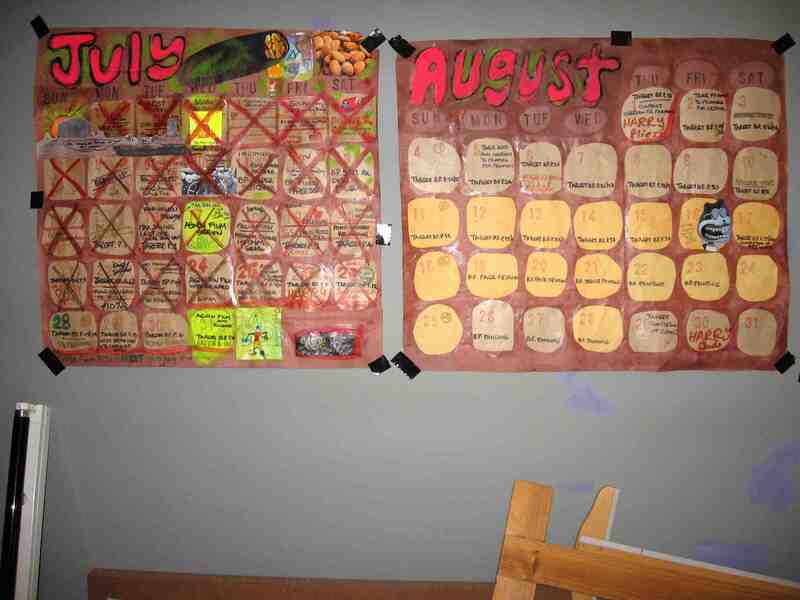 Production schedule wall chart calendars to help keep track of time and target desired deadlines. This entry was posted in Art, Blotting Paper, Comics and tagged artist book, brushes, drawing, image-making, making comics, photography, printmaking, rubber type by Doctor Comics. Bookmark the permalink.